The good guy (Josh Brolin) steals $2 million in drug money. 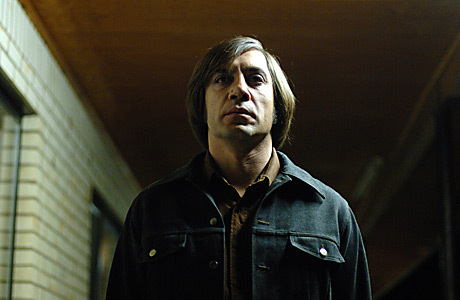 The implacably, mesmerizingly, astonishingly bad guy (Javier Bardem) tries to get it back. And a West Texas sheriff (Tommy Lee Jones) tracks their discursive trails. Adapting Cormac McCarthy's novel, Joel and Ethan Coen have fashioned a nearly mainstream action movie that is dry, funny, beautifully acted, thrillingly cinematic. After two decades of being brilliant on the movie margins, the Coens are ready for their closeup, and maybe their Oscar.